In an era of busy schedules, stress and discomfort; finding enough time to enjoy your life with your loved ones can become a scarcity. 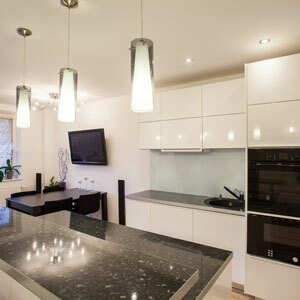 Smart home installation services offer you the latest innovations to solve this problem. 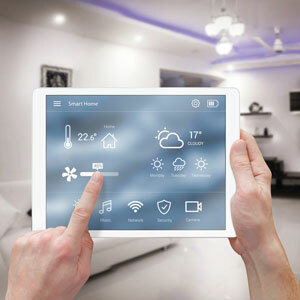 We intelligently integrate your home with the help of advanced electronics and technologies. This way, you can spend less time dealing with household chores and spend more time relaxing and enjoying your life. Smart home systems offer you ultimate features that bring together your lighting, heating & cooling, security, shades and gate entrance devices. By using your own iPad and iPhone, or custom in-wall touchscreen devices, you can control all aspects of your house from a central point. More and more houses in the UK, including renovations and new builds around the UK are now integrated with a smart home in mind. In the future, connected homes will become a priority in every property to make our lives easier. We work with clients in Chester, Manchester & Liverpool and across the UK. In the ever-growing world of gadgets at home, it can often get troublesome to get a hold of control easily. Every device comes with a brand new control interface, completely working against the convenience. Smart home automation systems can offer unparalleled control mechanisms for your household, by combining multiple controls in single units. Now, you can control your music, TV, lights or even gate entry from your Smartphone your iPad. It’s also possible to embed dedicated touch screen devices on wall or a state of the art smart remote controller. One of the greatest benefits of the Smart Home is the energy saving capabilities it brings along, saving you money. As our home electronics become more aware of the occupants, they can learn from your lifestyle and automate energy consuming tools such as heating and lighting. A house that automatically turns off heating and switches off all lights as you leave is no longer a dream. A smart home system, equipped with a smart thermostat from Nest and lighting control system from Rako can save up to 40% on your annual Gas and Electricity bill. But what do we mean by home/office automation? We give you advice and information - in plain English, not technical jargon - to help you decide what you need. And we can work closely with architects, consultants and interior designers to deliver what’s right for your project. We invest time and effort to make sure we offer the very latest technologies. And while we only work with the highest quality suppliers, we’re totally independent. We’re not tied on any one technology provider. Every installation is as important to us as it is to our clients. We pride ourselves on our strong client relationships and meticulous attention to detail. That’s why with Chil UK, you can be confident you’re working with the UK’s leading experts in home automation and entertainment.